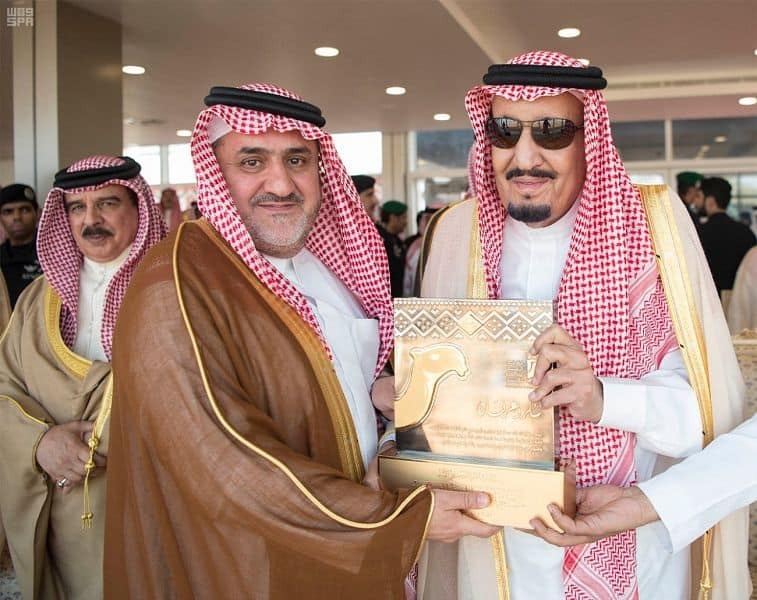 King Salman patronised the closing ceremony of the famous King Abdulaziz Festival for Camels today in the Southern Siahed in Dahana Desert, 140 kilometers northeast of Riyadh. 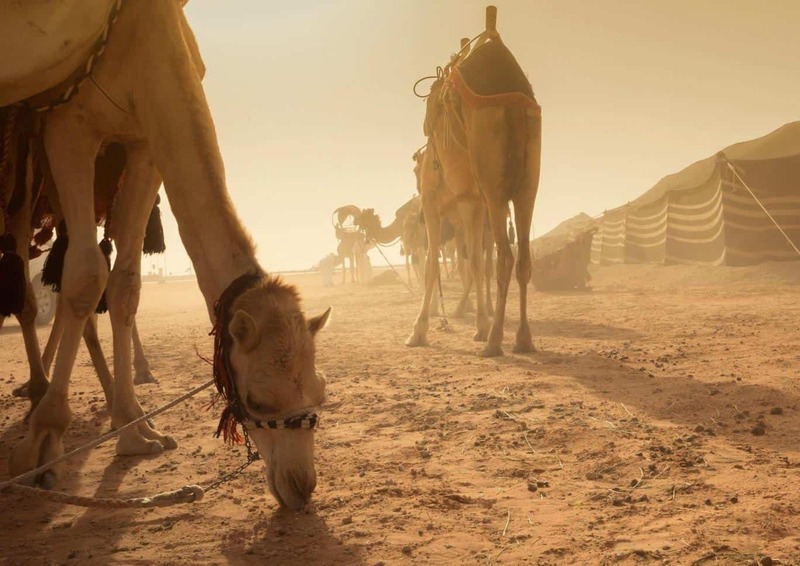 The popular festival is an annual heritage festival held in Rimah, a governorate in Riyadh province, and was founded in 1999 by a group of local Bedouins who decided to host a competition for the most beautiful camel. The competition grew to receive support from the Saudi royal family and was turned into a heritage festival with people from across the Gulf travelling to showcase their finest camels. The festival celebrates the culture and way of life of the Kingdom of Saudi Arabia and Bedouin traditions, today the festival attracts thousands of camels and their owners. The festival was also attended by King Hamad bin Isa Al Khalifa of Kingdom of Bahrain; Crown Prince of Kuwait Sheikh Nawaf Al-Ahmad Al-Jaber Al-Sabah; Chairman of Board of Trustees of Zayed Foundation for Humanitarian Works and Chairman of Abu Dhabi Sports Council in the United Arab Emirates Sheikh Nahyan bin Zayed Al Nahyan, Chairman of Qatari Olympic Committee Sheikh Joa n bin Hamad Al Thani and Omani Minister of Sports Affairs Sheikh Saad bin Mohammed Al-Saadi, were received by Prince Faisal bin Bandar bin Abdulaziz, Governor of Riyadh Region, and a number of officials.